It may be the lack of pain I felt upon waking up this morning or the fact that I’ve just passed the halfway mark in the healing process (or a worrisome combination of Dayquil and three cups of coffee), but this afternoon I felt a jolt of my old energy again and I’m grateful. For three weeks, I’ve bummed around my apartment oscillating between feeling sorry for myself and bumping into protruding shelves in the cluttered hallway. On a good day, I might check my cell phone or fold some underwear. Usually, though, I’ve wasted many an afternoon slouched in front of too many episodes of Gossip Girl shoving Gouda into my mouth and wondering how those girls got to be so skinny and pretty. Today I returned home with the same lackadaisical ambitions: I would make pumpkin soup this afternoon. Or maybe I wouldn’t. But something about cooking pumpkin soup and serving it inside of a pumpkin was too alluring to turn down, so I ran off to the store to purchase odds and ends while the grocery store filled my order of four small pumpkins. With pumpkins on the way, I suddenly felt the excitement of fall and felt myself swept up into a frenzy. Inspired, I cleaned up the slum I’ve been living in the past three weeks. I put away clothes. Cleaned the kitchen. Cleaned my room. Replenished waning toilet paper rolls. Cleared out the living rooms. Emptied garbages. Of course, this is Egypt, and Murphy’s Law is especially relevant here. 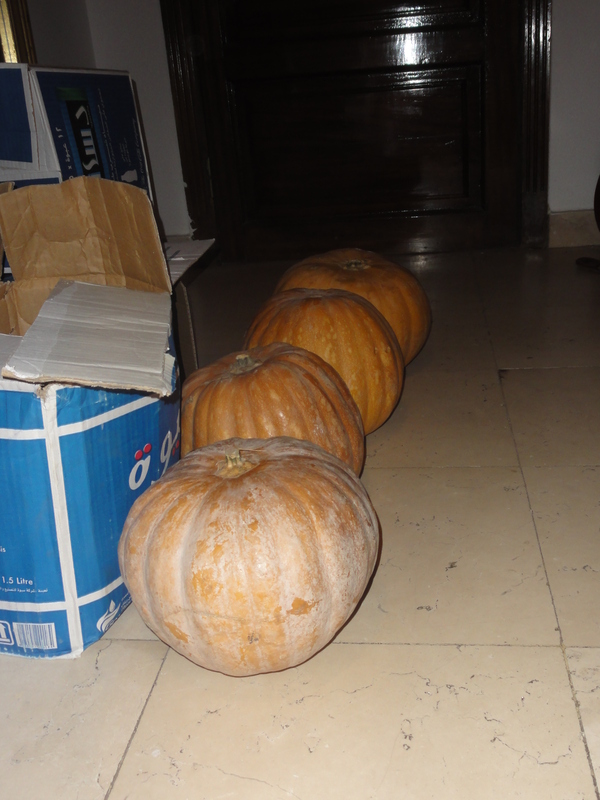 Four pumpkins arrived, but they were large, carving pumpkins, not cookable pie pumpkins. But what can you expect? 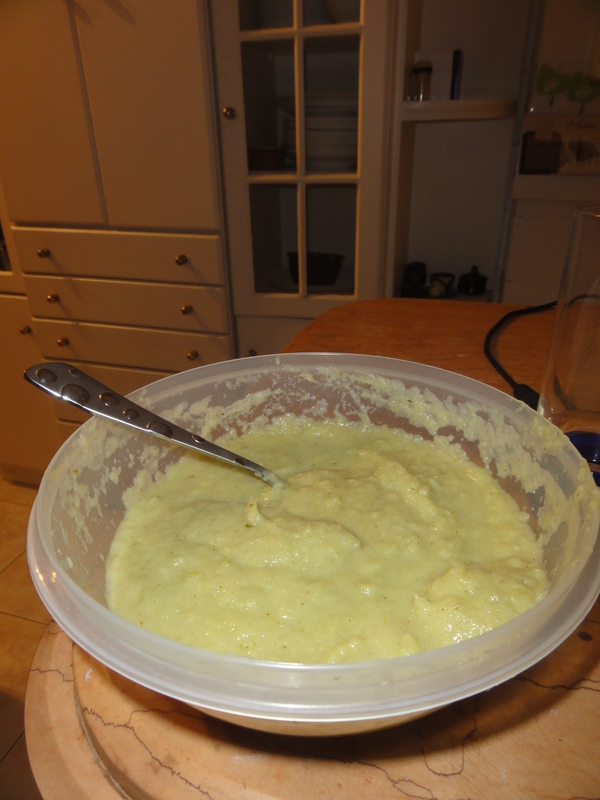 Undeterred, I scoured the fridge and pulled out some broccoli and apples. And so, I threw my functioning left arm into chopping up broccoli stalks – a frightening ordeal that almost resulted in some sliced fingertips – and tossed together what I figured might make a soup. And while it may look like Gerber’s to you, it tastes like victory to me. You could totally cook those pumpkins. I think you might have trouble cutting them with one arm, but you could definitely make soup or pie.